In 2012, REDC Materials Handling Equipment (Beijing) Co.Ltd was established and at the same year REDC built a factory in Changping, Beijing. 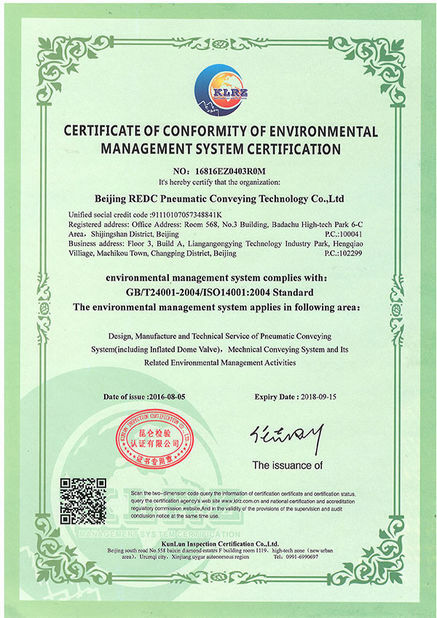 In 2016, REDC was listed in China (stock code: 838937) and change the name to Beijing REDC Pneumatic Conveying Technology Co.,Ltd. Through several years’development, REDC has set up two subsidiaries. REDC headquarter is focusing on the R&D and system integration; REDC engineering technology company is focusing on the engineering, construction and commissioning; Henan REDC is focusing on the key components manufacturing and spare parts service. 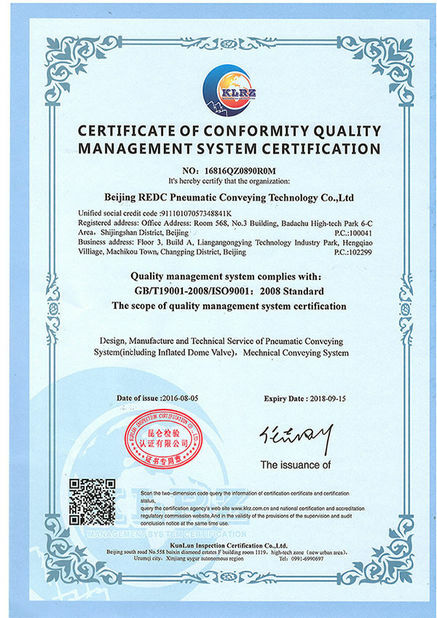 REDC successfully applied more than 20 patents and 2 software copyrights, including “Inflated dome valve”, “Dense phase pneumatic conveying system”, “Coal injection system for furnace”, etc. In 2013. REDC built a test lab which focus on comprehensive pneumatic conveying and injection system. 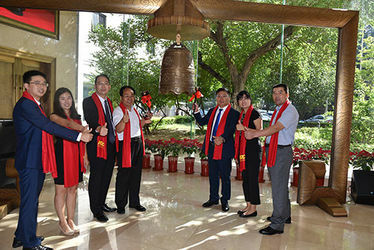 In 2014 and 2015, REDC became national high-tech enterprises and Zhongguancun high-tech enterprises, and got many honors from some associations. Meanwhile, REDC successfully commissioned 1st Coal Injection System for Australia Ausmelt furnace and 1st Salt Conveying System in China and finished 1st Coal Injection System for American U-gas Gassifier. In 2016, REDC has been awarded the third prize of Beijing Shijingshan district technical progress. And now the enterprise credit grade of REDC is AAA Level. Today REDC is one of the China's technology and market leaders in solid materials pneumatic conveying technology. It can provide the whole solutions of materials handling, including proposal design, engineering, manufacture, installation, commissioning and spare parts service. This conveying technology is used in industries such as petrochemical, nonferrous metal, cement, steel, pharmaceuticals, food and transport. We have forceful technical strength. Technical Service Department consist of experienced experts, we provide technical support and comprehensive technical service. We provide operation training to user for free, meanwhile the technical data of operation, repair and maintenance will be provided. We have regular quality inspection to customer in order to solve relevant technical issues in time. We strictly enforced the product liability which are clarified in specifications contract, to meet user needs completely. According to customer’s require we could supply installation, commissioning and motion to them and send expert engineering to site for guiding. The warranty for 1 year since acceptance or 18 months from product arrive at site. During warranty period, we provide regular maintenance and spare parts replacement if the device at fault. We will response in 2 hours after received buyer’s notice, and arrive in site within 48 hours provide assistance. Even over warranty period, we still offer preferential technical services and supply spare parts. We take priority to provide spare parts and repair obligation for the device damage which are not caused by supplier. We offer preferential wearing parts over a long period of time.